Written, produced & directed by Baby Nebrida, Across The Crescent Moon crosses the boundaries of faith, love and religion to bring the message of hope, unity and peace. The film also tackles drugs smuggling and human trafficking as rampant crimes involving Filipinos as victims. The film is opening on January 25, 2017 in cinemas nationwide. Across The Crescent Moon tells the story of Abbas (Matteo Guidicelli), a Moslem Special Action Force (SAF) Exemplary Officer who is married to a Christian. Abbas is tasked to investigate a human trafficking syndicate. In the process of carrying out the mission, he runs into conflict with his family, tests his fidelity to Islam, and even endangers his life. 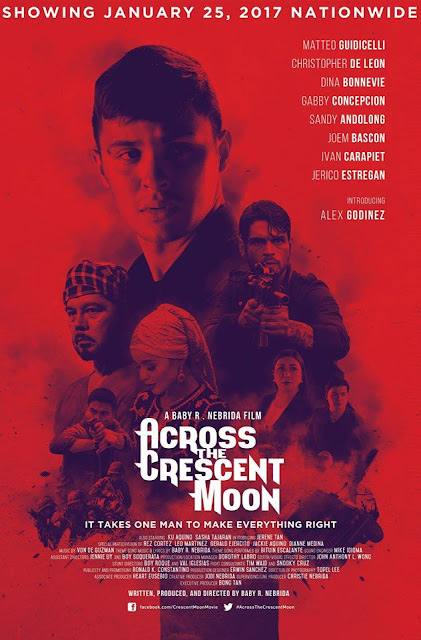 Across The Crescent Moon brings together the biggest stars and the finest Filipino filmmakers to make this important film. Aside from Matteo, in the cast are: Christopher de Leon, Dina Bonnevie, Gabby Concepcion, Sandy Andolong, Alexandra “Alex” Godinez, Joem Bascon, Ivan Carapiet, Jerico Estregan, Leo Martinez, Rex Cortez, Jackie Aquino, Garie Concepcion, Jerene Tan, Mariel de Leon, Ku Aquino and many more notable actors. Veteran screenwriter Baby Nebrida (who wrote the classics Langis at Tubig, Init o Lamig, My Only Love, Epimaco Velasco: NBI, Chop-Chop Lady: The Elsa Castillo Story, Sana Bukas Pa Ang Kahapon” and many other notable films) is the writer, director and producer of Across The Crescent Moon. The movie is Direk Baby’s first action-drama film. Direk Baby was motivated by Pope Francis’ plea to end modern-day slavery. She became more concerned when she learned through research that one out of every four victims of human trafficking is a Filipino. 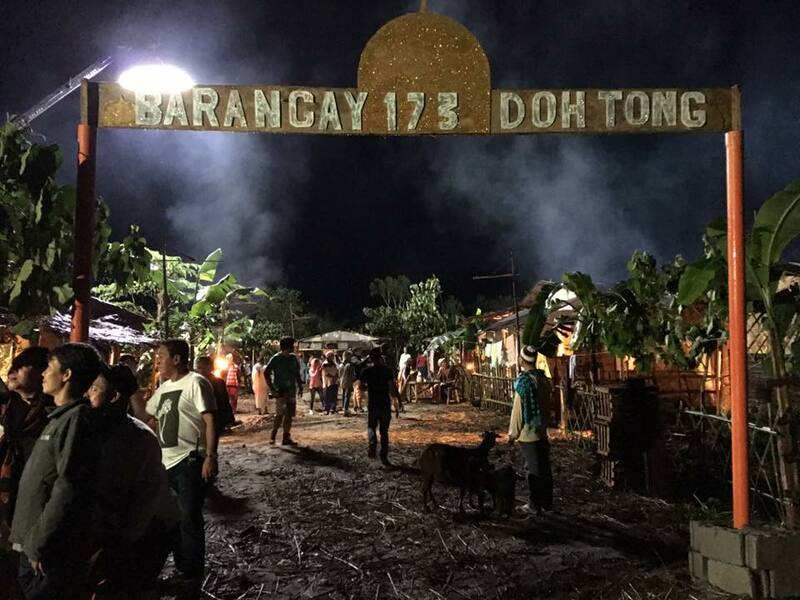 Direk Baby has also assembled a group of acclaimed Filipino filmmakers. Topel Lee is the director of photography. Erwin Sanchez who designed Binhi, Elemento and Violator, is the production designer. Award-winning musician Von de Guzman is the musical scorer. Renowned audio engineer Mike Idioma of Wild Sound created the sound. While John Wong of Edge Manila studios is the film editor. 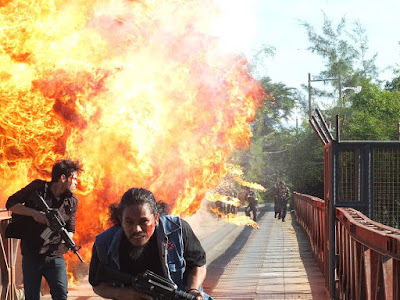 Direk Baby even flew in Hollywood stunt directors Shawn Bernal and Tim Waid to devise the fight scenes. Snooky Cruz, a noted Filipino fitness and stunt expert, was tapped to choreograph the encounter scene involving the SAF and rebel groups. Across The Crescent Moon was shot on location in Tanay, Subic, Zambales, Clark, and Tawi-Tawi, including Sheikh Makdum Mosque in Simunul Island which is the first and the oldest mosque in the Philippines. An original theme song entitled “Watching The Crescent Moon” (lyrics and melody by Baby Nebrida, arrangement by Von de Guzman and sung by Bituin Escalante) was also composed to drum up the film’s advocacy. 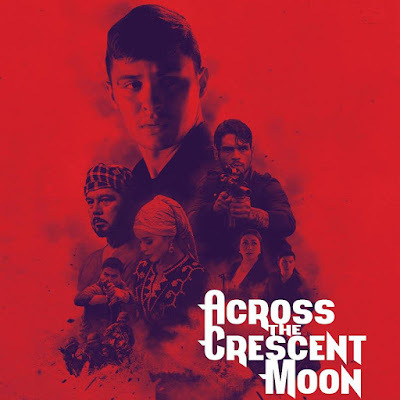 Across The Crescent Moon is produced by Gold Barn International with Amado Tan and Ana Clemena as executive producers.